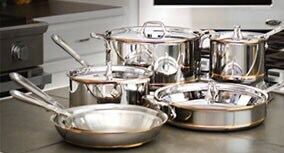 Looking for quality kitchen cookware that will add to the style of your home? Our selection of cookware sets and accessories are available from top brands like Viking and Innova. We even offer a great selection of cast iron cookware from brands like Lodge and Cajun Cookware.